Have your competition entries failed to reach the shortlist, turning your confidence into a pile of scrunched up pages on the floor? Are you sitting at your desk feeling isolated from the world with only your characters to keep you company? Perhaps you have already published your work in the past yet have no idea how to reach today’s audience? You have been trying to write, to improve your skills with courses or scouring the internet for advice. Shipwrecked in an ocean of information, you feel bombarded by ads suggesting inflexible, structured writing programs. How can they be a quick-fix to ‘Becoming a Bestselling Author’? It makes you feel sceptical – that hard sell just isn’t compelling. You have thought about joining a writers’ group for some support and but convinced yourself you are a fraud. You’ve imagined they would be judgmental or intimidating. Suspecting you aren’t good enough or capable of making a useful contribution, you hold back. In any case you have other responsibilities and can’t really afford the time to commit to regular meetings or the expense of getting there. You don’t have to suffer alone! Just think what it would be like to find a supportive community where you could share your concerns and challenges. How, with advice, information and encouragement from like-minded writers, you could banish your feelings of isolation and self-doubt. You could be part of a group where individual strengths and knowledge are combined to give all of its members the chance to achieve greater creative success. “It’s all possible! I’m here to help you. As a writer and a busy mum of two, I experienced all of these challenges. Like many writers I felt isolated, lacked confidence (despite some amazing feedback from fans of my work) and had no idea how to reach more readers. I took tentative steps into the world of social media. Having previously seen it as a time-wasting demon, it was a revelation! I found support and friendships in all sorts of groups, (business, fitness, parenting) and discovered a great sense of belonging combined with the convenience of being online. Yet still I couldn’t find a writers’ group to fit. I searched for a similar online group to feel supported, amongst friends and to help tackle the challenges of being a writer. I figured If I needed it, others would too. So after lots of research with writers ranging from those starting out, to published authors I found the solution: I would create just such a group! Qualified coaching support from your group coach, with structured daily and weekly prompts to build your writing confidence and encourage, guide and mentor your skills development. Exclusive access to a closed Facebook group where members can: discuss their projects; ask each other’s advice and input; help each other be accountable to achieve tasks and goals; foster a sense of friendship, fun and non-judgemental support. #creatorsclinic (dedicated regular weekly 2 hour online slot) in the Facebook group to resolve any blocks, issues, questions hosted by your group coach. Online group expert talks via face to face conference call, covering relevant topics such as self-promotion and methods of publishing, with expert speakers and question and answer sessions. Recordings will be made available for members unable to attend. Members have the opportunity to nominate subjects for discussion for future talks. 25% discount for members to Live meet ups (Twice a year- UK based) either with guest speakers or a mixture of social and workshop style content to help advance skills and broaden networks. 25% discount for members signing up to additional online programs/ masterclasses. These give more structured guidance on various aspects of writing technique and skills development. Access to The Library, a collection of ‘How-tos’ and guides on a wide range of subjects including: getting started; building self-belief; combating loneliness; how to be a better writer. This will accumulate over time as The Writers’ Pod grows. Note: The next enrollment dates for new members will be announced here. To register your interest and receive advance news of offers, competitions and membership joining instructions please sign up to our waiting list below. Subscription only £30pcm. Payment is on a recurring basis where each monthly payment is non refundable. Of course I hope you will find the group great value and will want to become a long term member of the community. However should you wish to leave the group at any time, no problem, just let me know and your subscription will be cancelled. Note that once the period of a special offer discount ends, the subscription will revert to full price automatically. The group will open for new members to enrol three times per year, typically February, May and October. This is to give our writers the opportunity to get to know each other, so that we can work as a close-knit community. Lots of the value members have gained is from supporting each other. Once you have joined you do not need to enrol again. Writers from all locations are welcome as are writers at all stages of their writing career. Numbers will be limited to maintain a close-knit community ethos. We reserve the right to remove members from the group, if group rules (issued on joining) are not complied with regarding behaviour, language and ethos. In the unlikely event of this occurring, subscriptions already paid are not refundable. Be in the Know- Sign up for News, Offers and updates. You will now receive news, offers and updates from Everything Nikki straight to your inbox. If you no longer wish to receive emails, please feel free to unsubscribe at any time. 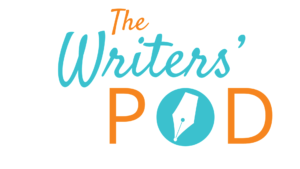 You will now receive The Writers' Pod news, offers and Updates straight to your inbox. If you no longer wish to receive emails, please feel free to unsubscribe at any time.